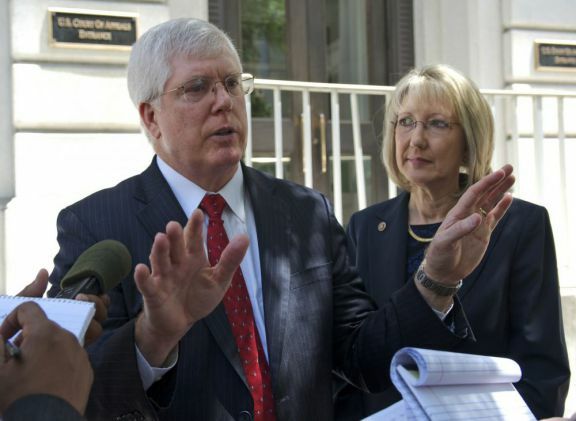 Mathew Staver, answers reporters questions outside a federal courthouse in Richmond, VA (Associated Press/Photo by Christopher Breedlove/Liberty University). WASHINGTON—Organizers of a reception for ex-gays have postponed the event after homosexual activists phoned and emailed a dozen threats. Voice of the Voiceless (VoV), a group formed this year to defend the rights of former homosexuals, had planned a reception later this month at the Family Research Council (FRC) in Washington, D.C., to celebrate July as the first-ever Ex-Gay Pride Month. The group has rescheduled the event for September at an undisclosed location. “I don’t want this event to be one of these things that we make public and then all these extremists show up and get the press and get their 30 seconds of fame,” said Chris Doyle, president and co-founder of VoV. Doyle told me the Huffington Post and other liberal news sites inaccurately tied VoV to FRC, which sparked the controversy. He said he doesn’t usually shy away from controversy—“we deal with this fairly regularly”—but he didn’t want protestors to steal the spotlight or intimidate the guests and speakers. 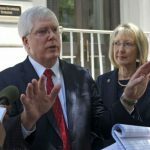 Mat Staver, founder of Liberty Counsel, is one of the scheduled speakers at the event, where he will accept the first Ex-Gay Pride Freedom Award. Doyle called it “unfortunate” that gay extremists want tolerance only for people who agree with them: “Those who preach tolerance the most afford it the least.” Click here to read more . . . This entry was posted in Uncategorized and tagged Ex-Gay Pride Freedom Award, ex-gay pride month, ex-gay reception, Family Research Council, Liberty Counsel, Mathew Staver on 2013-07-20 by VoV Contributor.